Interested in accounting? Here’s a list of the six accounting (ACCO) classes offered at Kellogg Community College during the Spring 2019 semester. For a complete list of Spring 2019 semester classes offered at KCC, visit www.kellogg.edu and click on “Class Schedules” in the top menu to search for sections. Students will learn about financial accounting procedures with emphasis on the accounting cycle. Apply internal controls to an accounting system, account for cash, accounts receivable, bad debts, inventories, long-lived assets, current liabilities and payroll. Generally Accepted Accounting Principles (GAAP) will be applied. This accounting class will expand the student’s knowledge of financial accounting. They will prepare a cash flow statement and be introduced to managerial and cost accounting while learning how they are used in management decision making. Students will be introduced to analyzing and interpreting financial statements. An accounting course designed to give the student a hands-on experience processing financial records using a general ledger software package. Through the use of business projects, the student will become proficient in the use of accounts receivable, accounts payable, inventory, payroll, fixed assets and general ledger. All projects will be completed using a Windows-driven software package. A course designed to follow and expand upon the material learned in the accounting principles series. The course includes the study of cash, inventory, receivables, investments, property and equipment, current and long-term liabilities, and equity. 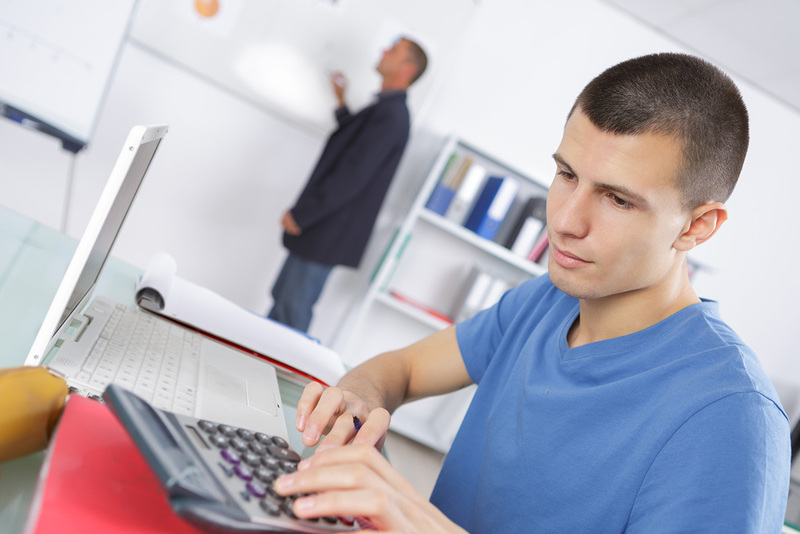 The student will become proficient in using commercial accounting software on a microcomputer to maintain a general ledger and to prepare computerized financial statements. Cost accounting is the branch of accounting that deals with the planning, measurement and control of costs. While all types of businesses (service, merchandising and manufacturing) must have accurate and reliable cost information, the traditional focus of cost accounting has been on manufacturing costs and activities. Manufacturing is the transforming of raw materials into finished products by incurring factory costs. To reinforce the principles of cost accounting, the student will complete a practice set for a manufacturing company. A comprehensive introductory course in tax return preparation. Emphasis will be placed on tax issues and return preparation for individuals and unincorporated businesses. Primary focus is on the development of working familiarity with tax forms, documentation and solution of tax problems affecting individuals. Federal taxation emphasized. The first Spring 2019 classes start Jan. 11, and the semester ends May 6. For information about signing up for spring classes, visit www.kellogg.edu/registration. For information about KCC’s Accounting Program, which includes Associate in Applied Science and certificate program options, visit www.kellogg.edu/accounting.